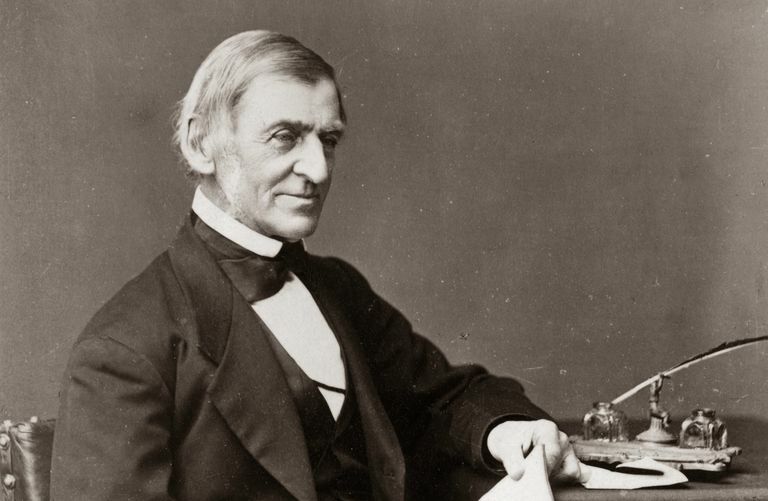 Ralph Waldo Emerson was one of the most influential Americans of the 19th century. His writings played a major role in the development of American literature, and his thought impacted political leaders as well as countless ordinary people. Emerson, born into a family of ministers, became known as an unorthodox and controversiall thinker in the late 1830s. 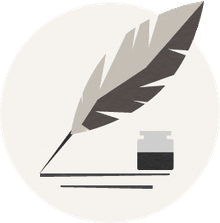 His writing and public persona would cast a long shadow over American letters, as he influenced such major American writers as Walt Whitman and Henry David Thoreau. Ralph Waldo Emerson was born May 25, 1803. His father was a prominent Boston minister. And though his father died when Emerson was eight years old, Emerson's family managed to send him to Boston Latin School and Harvard College. After graduating from Harvard he taught school with his older brother for a time, and eventually decided to become a Unitarian minister. He became the junior pastor at a noted Boston institution, Second Church. Emerson’s personal life appeared promising, as he fell in love and married Ellen Tucker in 1829. His happiness was short-lived, however, as his young wife died less than two years later. Emerson was emotionally devastated. As his wife was from a wealthy family, Emerson received an inheritance which helped sustain him for the rest of his life. The death of his wife and his plunge into misery led Emerson to have severe doubts about his religious beliefs. He became increasingly disillusioned with the ministry over the next several years and he resigned from his position at the church. He spent most of 1833 touring Europe. In Britain Emerson met with prominent writers, including Thomas Carlyle, which whom he began a lifelong friendship. After returning to America, Emerson began to express his changing ideas in written essays. His essay “Nature,” published in 1836, was noteworthy. It is often cited as the place where central ideas of Transcendentalism were expressed. In the late 1830s Emerson began to make a living as a public speaker. At that time in America, crowds would pay to hear people discuss current events or philosophical topics, and Emerson was soon a popular orator in New England. Over the course of his life his speaking fees would be a major portion of his income. Because Emerson is so closely linked to the Transcendentalists, it is often believed that he was the founder of Transcendentalism. He was not, as other New England thinkers and writers actually came together, calling themselves Transcendentalists, in the years before he published “Nature.” Yet Emerson’s prominence, and his growing public profile, made him the most famous of the Transcendentalist writers. In 1837, a class at Harvard Divinity School invited Emerson to speak. He delivered an address titled “The American Scholar” which was well-received. It was hailed as “our intellectual Declaration of Independence” by Oliver Wendell Holmes, a student who would go on to be a prominent essayist. The following year the graduating class at the Divinity School invited Emerson to give the commencement address. Emerson, speaking to a fairly small group of people on July 15, 1838, ignited a huge controversy. He delivered an address advocating Transcendentalist ideas such as love of nature and self-reliance. The faculty and clergy considered Emerson’s address to be somewhat radical and a calculated insult. He was not invited back to speak at Harvard for decades. Emerson Was Known as "The Sage of Concord"
Emerson married his second wife, Lidian, in 1835, and they settled in Concord, Massachusetts. In Concord Emerson found a peaceful place to live and write, and a literary community sprang up around him. Other writers associated with Concord in the 1840s included Nathaniel Hawthorne, Henry David Thoreau, and Margaret Fuller. Emerson was sometimes referred to in the newspapers as "The Sage of Concord." Emerson published his first book of essay in 1841, and published a second volume in 1844. He continued speaking far and wide, and it’s known that in 1842 he gave an address titled “The Poet” in New York City. One of the audience members was a young newspaper reporter, Walt Whitman. The future poet was greatly inspired by Emerson’s words. In 1855, when Whitman published his classic book Leaves of Grass, he sent a copy to Emerson, who responded with a warm letter praising Whitman’s poetry. This endorsement from Emerson helped launched Whitman’s career as a poet. Emerson also exerted a major influence over Henry David Thoreau, who was a young Harvard graduate and schoolteacher when Emerson met him in Concord. Emerson sometimes employed Thoreau as a handyman and gardener, and encouraged his young friend to write. Thoreau lived for two years in a cabin he built on a plot of land owned by Emerson, and wrote his classic book, Walden, based on the experience. Emerson was known for his lofty ideas, but he was also known to get involved in specific social causes. The most notable cause Emerson supported was the abolitionist movement. Emerson spoke out against slavery for years, and even helped runaway slaves get to Canada via the Underground Railroad. Emerson also praised John Brown, the fanatical abolitionist who many perceived as a violent madman. Though Emerson had been fairly apolitical, the conflict over slavery led him to the new Republican Party, and in the election of 1860 he voted for Abraham Lincoln. When Lincoln signed the Emancipation Proclamation Emerson hailed it as a great day for the United States. Emerson was deeply affected by Lincoln's assassination, and considered him a martyr. After the Civil War, Emerson continued to travel and give lectures based on his many essays. In California he befriended naturalist John Muir, whom he met in Yosemite Valley. But by the 1870s his health was beginning to fail. He died in Concord on April 27, 1882. He was nearly 79 years old. His death was front-page news. The New York Times published a lengthy obituary of Emerson on the front page. It is impossible to learn about American literature in the 19th century without encountering Ralph Waldo Emerson. His influence was profound, and his essays, especially classics such as "Self-Reliance," are still read and discussed more than 160 years after their publication. "Ralph Waldo Emerson." Encyclopedia of World Biography, Gale, 1998. "The Death of Mr. Emerson." New York Times, 28 April 1882. A1.